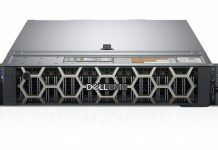 Buried a bit in the major server, storage, and software announcements was a unique product from Dell EMC Networking. 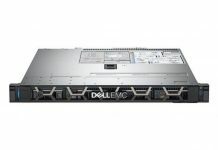 The Dell EMC S4112-ON is a half-width switch platform. That half-width switch platform is popular as we have seen Mellanox use half-width for some time and we published our QCT QuantaMesh T3024-P05 Review as that platform was launched. One of the major benefits of half-width is the ability to provide redundancy in a single rack U. The other major benefit is the ability to mix switch media types in a single U. The Dell EMC S4112-ON has two flavors Base-T and SFP+ based. Unlike previous generations, it has 100GbE uplinks and 25GbE / 50GbE capabilities as well. 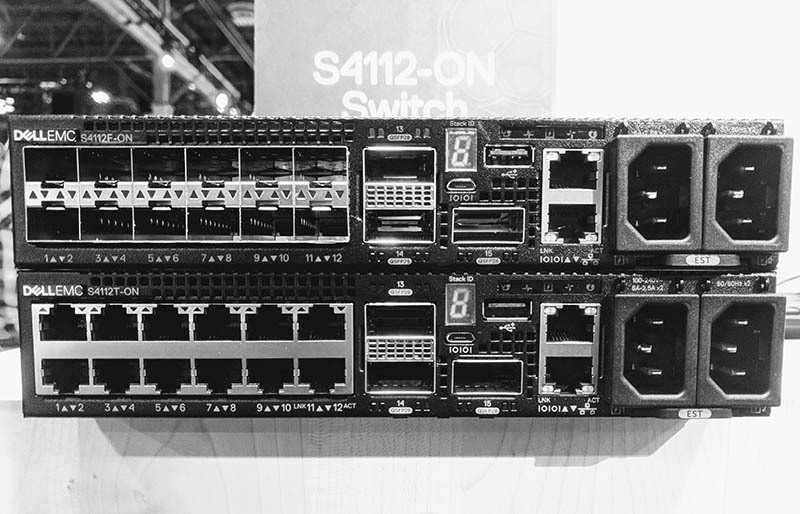 Given that these switches are relatively small, they were hard to find on the Dell Technologies World 2018 floor. After a hunt, we found them. Here is the Dell EMC S4112F-ON atop the Dell EMC S4112T-ON. Key features of both are 12x 10GbE ports. 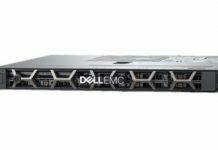 The Dell EMC S4112F-ON uses SFP+ ports for 12x 10GbE, we asked and these are 10GbE, not 25GbE ports. 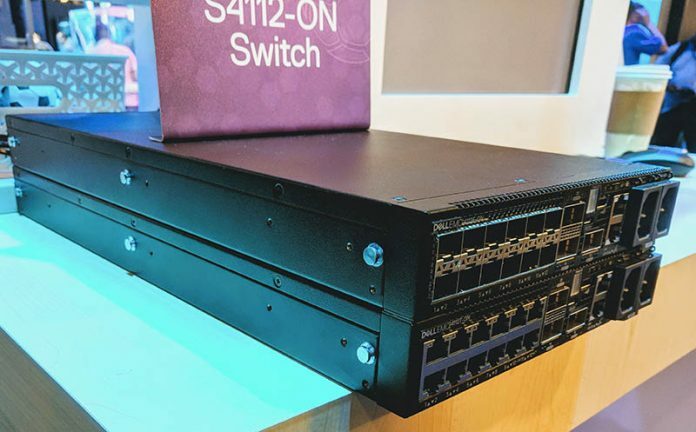 The Dell EMC S4112T-ON has 12x 10Gbase-T ports. To the right of these ports are some common features. There are three QSFP28 ports which can handle 25GbE, 50GbE, and 100GbE networking. In 2018 we are seeing a massive shift from 10/40GbE to 25/50/100GbE networking so it is great to see this adoption. Othe major ports include serial console and out of band Ethernet management ports. There are redundant power supply power options. Finally, there is a USB 3.0 port for tasks such as loading new OSes. The switches come standard with Dell’s OS10 networking but also support ONIE for additional network OS support. Redundancy in 1U – One can use two half-width switches side-by-side and get redundant switching in a 1U footprint. Minimize switching costs – By right-sizing the port count, one can achieve cost savings per rack by buying lower port count switches that are still based on industry-standard hardware and management interfaces. Mixing media types – Going half-width means that different media types can be utilized in the same 1U of rack space. 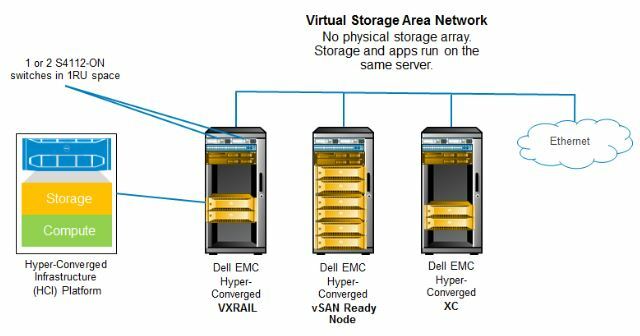 The new Dell EMC S4112-ON switches allow for all three of these use cases to be addressed. With 100GbE the swiches have the ability to connect local high-speed storage or uplink to other infrastructure at high speed. While half-width is not for everyone, it is a unique line of products that address specific use cases.